This page is recommended as a basic overview in English of political parties in France by the United States Library of Congress. To outsiders, the French political system can often seem bewildering and difficult to follow. Compared to Britain or the USA, France seems to have a plethora of political parties. Politicians, supposedly of the political right, may be heard defending positions more often held by political parties of the left in many other countries, an d in recent French history, a good proportion of the economic liberalisation that has taken place in France has been pushed through by governments of the left. Even before the financial meltdown of 2008, French conservative governments were far more keen on economic intervention than their counterparts in the main English-speaking countries; and in 2008, some months after retiring as British prime minister, Labour's Tony Blair was enthusiastically received at a party political rally in Paris organised by the right-wing UMP party of President Sarkozy. If you are already confused, that is not too surprising. Yet perhaps even more confusing to outsiders is the fact that in France, a country that prides herself as a model of democracy, up to a third of voters regularly vote for extremist parties, either of the left or of the right. Here therefore is a short guide designed to help outsiders understand the main French political parties, what they stand for, how they reached their current situation, and how they compare to apparently similar parties in the UK and the USA. Most minor political parties are omitted from this overview. Such parties and movements come and go with a disconcerting regularity in France, sometimes lasting a decade or two, sometimes less than a year. For outsiders, they mainly serve to blur the main picture of politics in France. This article therefore only deals with the principal and most recognised political parties in contemporary France, to the exclusion of many small parties; even so, the situation may still seem a little hard to follow ! Important note: the word "liberal" is used, in French politics, and therefore in this article, in the sense of "economically liberal", or "free market liberal"; "libéralisme", in contemporary French political vocabulary, is thus often seen as the opposite of "socialisme", and the Left in France use the word "libéral" as a term of abuse to denigrate the perceived "anti-social" policies of their right-wing opponents. In this context, it is more or less the equivalent of "neo conservative".... making it pretty much the opposite of the word "liberal" as used in the context of US politics. The main "conservative" party is now known as "Les Républicains" - the Republicans. The then party leader Nicolas Sarkozy engineered a name change in 2015, designed to distance the new party from the old, the UMP - Union pour un Mouvement Populaire, which had been in turmoil since the 2012 election defeat. This is one of the largest political parties in France, and the reason that it has achieved this status is that like Britain's Conservatives and America's Republicans, it is a party that encompasses a fairly broad range of political opinion, including traditional conservatives, social liberals, and also a Thatcherite or neo-conservative right. It also projects itself as a "Gaullist" party, and the flagbearer of "Gaullism" in French political life. Gaullism can best be briefly summed up as a peculiarly French type of benevolent social conservatism, strongly patriarchal and nationalistic; but the Gaullism of the UMP and now of the Republicans, has moved well on from that. In parliament, the Republicans are allied with the centrist (moderate) federation called the "UDI"; this was formed in 2012 from an alliance of the Radical Party and the "Nouveau Centre" , the latter being the rump of the UDF, the liberal-conservative party of former President Valéry Giscard d'Estaing, together with half a dozen smaller centre right and centre left parties. The other centre right party is the MoDem, or Mouvement Démocratique (see below), formed in 2007 when its leader, François Bayrou, and his supporters defected from the UDF to form their own social conservative party. See below: parties of the centre. Although the main French conservative party is now called "Les Républicains", it would be quite wrong to imagine that it is a French version of the "Republican party" in the USA. The fact is that the whole political spectrum in France is further to the left than in the main English speaking countries. Though les Républicains represent the right wing of French political life, on the international spectrum of political positioning, most party activists and representatives would consider themselves closer, politically, to the Democrats than to the Republicans, if compared to their counterparts in the USA. The far right in French politics is occupied by two parties, the Front National (National Front, founded by Jean Marie Le Pen, and currently led (2017) by his daughter Marine le Pen), and the Mouvement pour la France (MPF). The FN is a classic extreme right-wing party, similar to Britain's BNP, campaigning on a ticket of national preference, law and order, and anti-immigration. Marine Le Pen made it through to the second round of the presidential election in 2017. The very marginal MPF is a sovereignist party, more similar to Britain's UKIP, with whom it is allied in the EFT movement in the European parliament; it is seen as a moderate right-wing party, and attracts conservative traditionalists such as its quite popular leader Philippe de Villiers, an aristocrat and former Gaullist minister. Both parties call for withdrawal from the European Union, or a massive curtailment of the EU's role. Another small and more recent sovereignist party, also similar to the UK's UKIP, is Debout la France (Stand up France), led by former Gaullist parlementarian Nicolas Dupont-Aignan. Emmanuel Macron and "En Marche"
Emmanuel Macron, chosen by voters to succeed François Hollande as President of France, stands in the centre ground of politics. But he is not a traditional politician. Indeed, he has never held elected office before, having been brought into government as Economics minister by François Hollande. Prior to that he was a banker, with Rothschilds. He has achieved the "impossible" in traditional politics, reaching the runoff of a presidential election, and then winning it, without the help of any traditional or even new political party. Macron has been presented as a French equivalent of Tony Blair or Barack Obama, a charismatic leader, a militant moderate at the centre ground of politics, an economic liberal with a social conscience, a great speaker, and someone with a massive ambition to succeed. But while Blair and Obama played by the old rules of politics, working their way up in a party and then moving the party in their direction, Macron has played by the new rules, building up his power base outside the traditional parties – a tactic of the "new politics" that has been up to now more frequently exploited by the far right - as with Nigel Farage in the UK - or the far left - as with Alexis Tsipras in Greece. Macron's case stands out from the rest in so far as he is neither extreme left nor extreme right but – if the expression is not a contradiction in terms – extreme centre. His political enemies on the far left have taken to calling him, the former investment banker, the candidate of "extreme finance". His case also stands out by the way that he rose to power so fast, and without the backing of any political party at all . Macron's machine, "En marche " ( In movement) is not a party, but a "movement", basically a grass-roots movement supported by hundreds of thousands of people across France who have become disillusioned by traditional politics and politicians. In this respect Macron is an anti-system politician, like Donald Trump or Nigel Farage ; but in other more significant ways Macron is a classic product of the French "system". His parents were doctors; and he was educated at one of France's top lycées, the Lycée Henri IV in Paris. He later went on to the ENA (Ecole Normale d'Administration) - the graduate school attended by countless future French top civil servants, leaders of industry ministers and presidents. Following that he worked for Rothschilds, before being recruited as economic adviser by President Hollande . In this respect he is very much a product of the system – which is no doubt why he does not believe that the way to change the system is to defy it, but to change it from within. In this he has already made a big start. Creating "En Marche" as a movement, not a party, was a masterstroke. It enabled men and women from other parties, from the Socialists, from the Modem, from the Greens, even from the Republicans, to give support to the Macron cross-party movement, while remaining members of their current party. 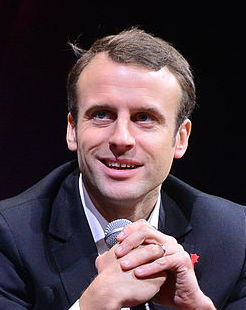 Examples include former prime ministers Manuel Valls (Socialist) and Dominique de Villepin (Republicans), or Daniel Cohn Bendit (Greens) and François Bayrou (Modem) who all gave their backing to Macron even before the first round of the presidential election, while there were still official candidates from other parties in the running. After his victory in the first round of the Presidential election, he immediately received backing for the second round from both Republican candidate François Fillon, and Socialist candidate Benoît Hamon – and was endorsed too by outgoing president François Hollande. Having won the Presidential election, Macron's next challenge is harder: it is to get French voters to elect enough candidates running under the banner of En Marche to give him a working majority in the National Assembly, and form a government of consensus politicians. Success in this is by no means a foregone conclusion as the parties of the left and the right, the Socialists and "La France Insoumise" on the left, and the Republicans and the National Front on the right, are all determined to ensure that this will not happen. But maybe it will: maybe this is what the new politics is really all about. In the UK, Labour moderates and many Lib Dems are already dreaming of replicating a pro European movement like En Marche to beat the hold of the hard liners and militants over the two main parties. Trying to weave a decidedly tricky course between the left and the right in French politics, former presidential candidate François Bayrou created the MoDem, or Mouvement Démocratique in an attempt to distance himself and his followers from the perceived "liberal" policies of President Sarkozy. This party really is in the political centre: but with just two deputies elected in the 2012 general elections, and Bayrou losing his seat, the Modem's future hangs in the balance. After supporting François Hollande in the second round of the 2012 presidential elections, and arguably helping him to get elected, Bayrou lost a lot of credit, and the Modem has since then fallen into relative insignificance. In 2017, Bayrou was an early backer of Emmanuel Macron in the residential race. Of more recent creation, the Alliance Centriste is a centre-right party, part of the UDI, and is led by Jean Arthuis, a former Conservative minister. They also have two deputies. The main party of the left is the Parti Socialiste, or Socialist Party (PS); formed in 1969 by the alliance of existing parties of the non-Communist left, the Socialist party had much in common with the old Labour Party in the UK, before it turned into "New Labour". As was Britain's Labour Party in the Wilson / Callaghan years, the Parti Socialiste was very much a socialist party, believing in nationalisations, a strong welfare state, and participative democracy. This was the ticket on which François Mitterrand was elected in 1981 as the first Socialist President of the Fifth Republic. The Socialist governments of the 1980s and 1990s moved slowly away from the "old Socialist" model, first nationalising sectors of the economy, then doing a U-turn and developing a policy of privatisations; but the party never really turned itself into a modern social democratic party in the way most other European socialist parties did. Its failure to modernise led it to a series of electoral mishaps and disasters from which it has not (so far?) recovered. In 2009, the party took less than 15% of the national vote in the European elections; it was riven with strife between modernisers, reformers and traditionalists, as looking not just for a leader to pull it out of the doldrums, but also a convincing political strategy that will appeal to voters. 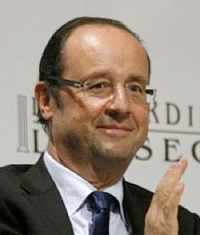 In October 2011, after what can only be described as a successful process of American-style primary election, party members and sympathisers chose moderate former party-leader François Hollande to be their candidate in the 2012 presidential elections. Hollande beat runner-up Martine Aubry convincingly in the second round of the two-stage process. He then went on to win the 2012 Presidential elections, and spearhead a return of the Socialists to power following victory in the ensuing general election. However, having failed singularly to turn round the French economy, and overseen a worsening of unemployment, Hollande saw his popularity ratings had sink to a record low by the end of 2014. In 2014 Hollande appointed a new modernising centre left prime minister, Manuel Valls, to put through some unpopular but much-needed economic and social reforms. However the appoitment of Valls led to an increase of tensions within the Socialist Party and open rebellion by the left wing of the party. Ensuing in-fighting between the hard left and the modernisers has left the party struggling to preserve a semblance of unity. In departmental elections in March 2015, the party lost control of almost half the departmental councils they previously controlled. Historically, the other main party of the French left had been the Parti Communiste, or communist party (PCF). In the 2012 elections, the Communists - with their allies of the Front de Gauche - only managed to win 10 seats in the French parliament - down from 17 in 2007. Long considered as stalinist, the party did not abandon its attachment to the soviet social model until 1976, shortly before it entered government as a minor partner to the Socialists. Unlike the Italian Communist Party, the French Communist Party did not reinvent itself after the fall of soviet communism in the 1990s; the result was a series of internal fractures, with the once monolithic party splitting into different factions, the refounders, the reformers and the orthodoxists. Once attracting over 20% of voters in French elections, the PC now attracts less than 5%. The other main party of the centre left is Europe Ecologie Les Verts, or the Green Party. Thanks to an electoral pact with the Socialists, the Greens won 18 seats in the 2012 legislative elections, but are not part of the government. Their great strengths are as a party of local government, with key positions in many city councils, and as a party in the European parliament. 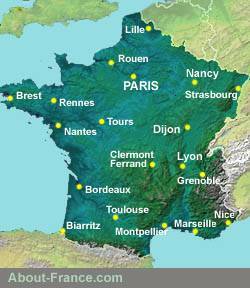 The mainstream French Green party has traditionally been an ally of the Socialists, though other French greens, and indeed other environmentalist parties, are allied to the centre or the centre right. But with environmental issues fast becoming a major platform for all main political parties, the survival of the Greens as a political force in their own right is not guaranteed. The party virtually fell apart in 2016 on account of internal rivalries and splits between those wishing to hang on to some kind of power through an alliance with the Socialists, and those wanting the Green party to go it alone. Both the PS and the PCF have struggled to maintain credibility as left-wing parties, faced with the rise of social democracy in the political centre, and the emergence of new "extreme left wing" parties to their left. The Far Left (Extrême gauche) has long been a resilient and active force in French politics, and parties such as Lutte Ouvrière (Workers' Struggle) and LCR (the Revolutionary Communist League) have attracted support – and sympathy – in a way that similar parties in most other European countries could only dream of. More recently, with the ageing of their historic leaders, these parties have given way to newer structures. One, the "Parti de Gauche" (PG) founded in 2008 had two deputies, dissident members of the Socialist Party; another, the NPA (Nouveau Parti Anticapitaliste), was founded in 2009, to propose a complete economic alternative to current forms of western society. For the 2012 elections, the PG aligned itself with the Communists under the title "Front de Gauche" - picking up 10 seats, essentially in traditionally communist-voting parts of France. For the 2017 elections, the PG and the Communists fell in behind firebrand ex-Socialist Jean-Luc Mélenchon to campaign in the presidential election under the banner "La France Insoumise" (Unsubmissive France), an anti-capitalist anti-system anti-European movement of the far left. Mélenchon - who is an excellent orator and comes over well in TV debates - surprised the pundits by taking 19.5% of the vote.